To continue the give aways here at Fratellowatches, I present to you the Di Modell Rallye Wapro strap, offered to you by our sponsor UK Watch Strap. Di Modell, famous for their high quality straps from Germany, are also seen on Sinn Spezialuhren for example. 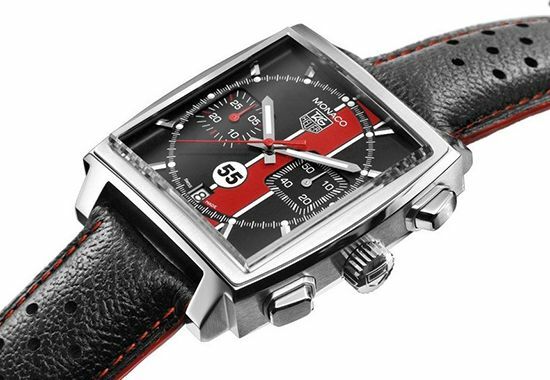 The Di Modell Rallye strap is a classic ‘racing driver’ strap, like the one on the recently introduced TAG Heuer Monaco ’55’ Porsche Club of America edition, limited to 55 pieces (read about it here). 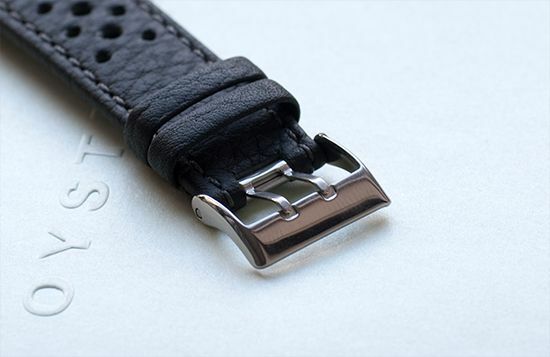 It is a padded black calf leather sports watch strap, with sporty looking perforated design. 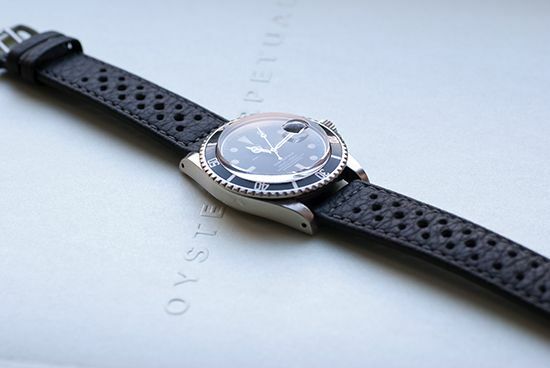 It will make your Speedmaster, Monaco or even vintage Submariner look amazing! Available in 18, 19, 20 and 22 mm lug sizes and padded 3 mm at the lug part till 2 mm at the buckle. The buckle is included and is 2 mm short than the lug size. Spring bars are included as well. If you want this nicely stitched racing strap, please leave a comment and the (lug) size model you want. I will pick a winner on the 10th of August. If you can’t wait or if you just want to have one anyway, go to their website and you can order a Di Modell Rallye Wapro strap directly from their website, for 19.95 UKP only. You will be able to choose from white, yellow, blue and orange stitching (currently in order, as well as black stitching in 19mm). These Di Modell combinations are especially designed for UK Watch Strap. Leave a comment, with a valid e-mail address (important!) and preferred stitching colour (red or black) and lug size. Will ship world wide!